i have always been a huge fan of soya curry and it is one of the frequent gravy based curry i prepare at home. 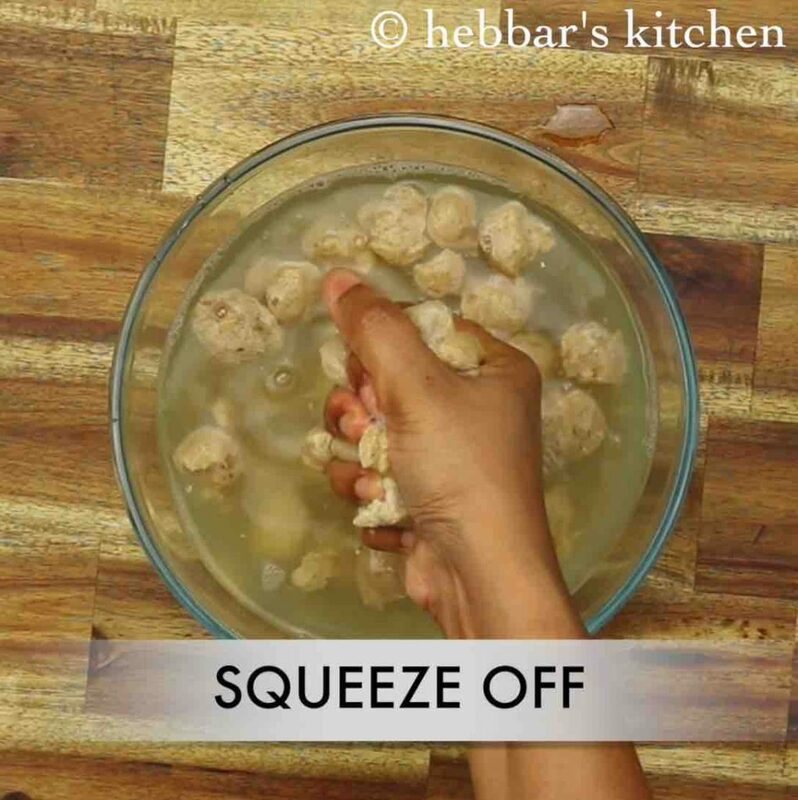 well, i have already posted quite a few sabzis in my blog using meal maker. but soya keema recipe was long due on me. 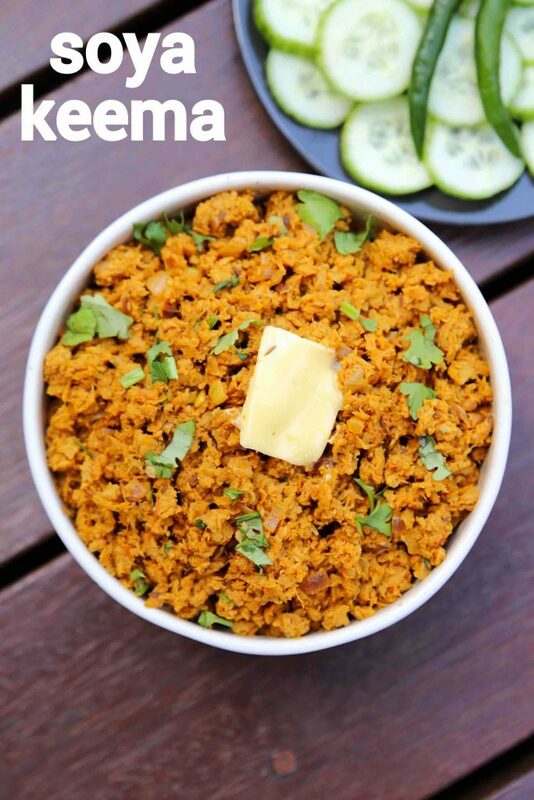 as matter of fact, i was getting several requests to make a vegetarian version of keema recipe and i was always getting sidetracked. in fact, i always prepare this dish for my dinner meal and me and my husband thoroughly enjoy it with roti and chapati. 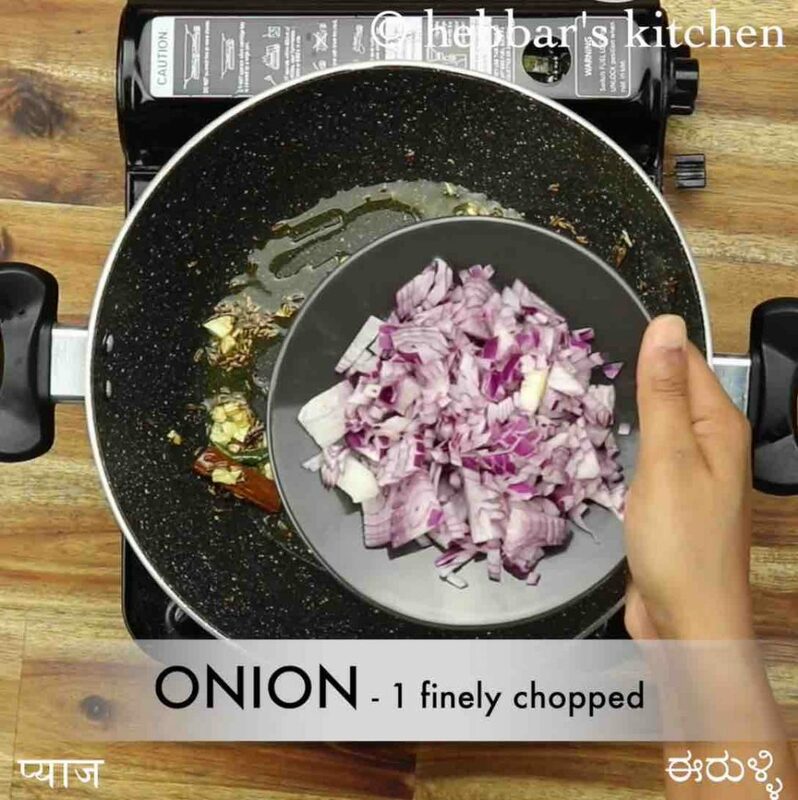 i serve this sabzi especially for my dinner because of 2 reasons. one being rich in protein and making a complete meal for my dinner and second being easy and simple to make in no time. but few may indigestion problems with heavy protein in their diet and hence you may need to be careful with meal maker. 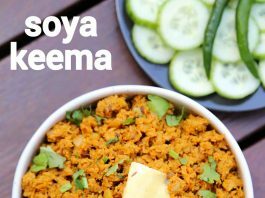 furthermore, i would like to add a few more tips and suggestions while making this soya keema recipe. firstly, i would heavily recommend to boil and rinse the soya granules thoroughly with water. this would ensure to remove all the necessary dirt and also to make it soft and spongy. secondly, you can also add peas to make keema for flavourful and attractive. 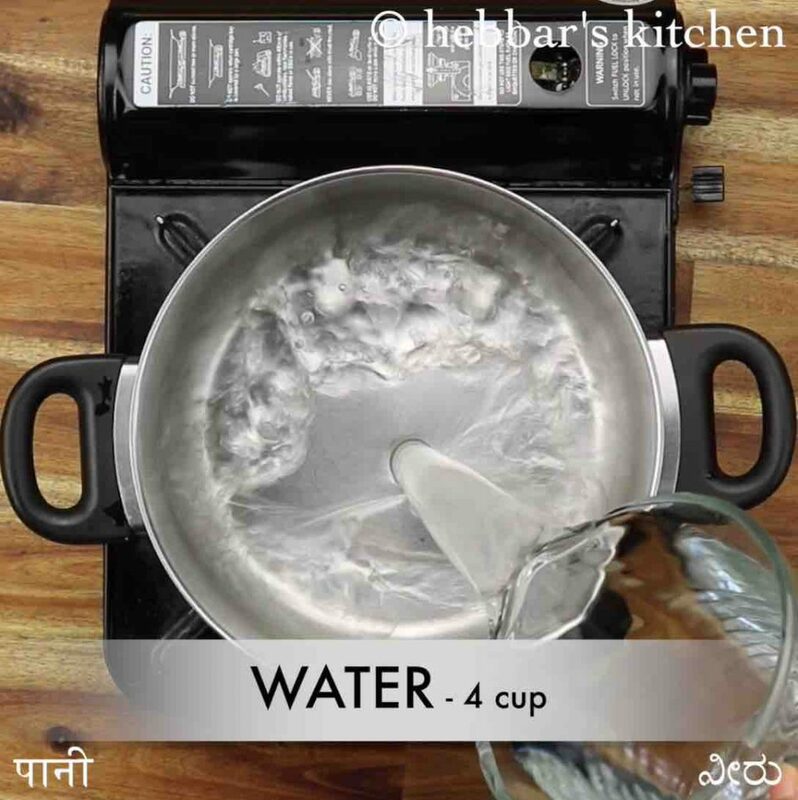 lastly, if you are looking to have a gravy version of keema masala then feel free to add more water adjusting consistency as desired. 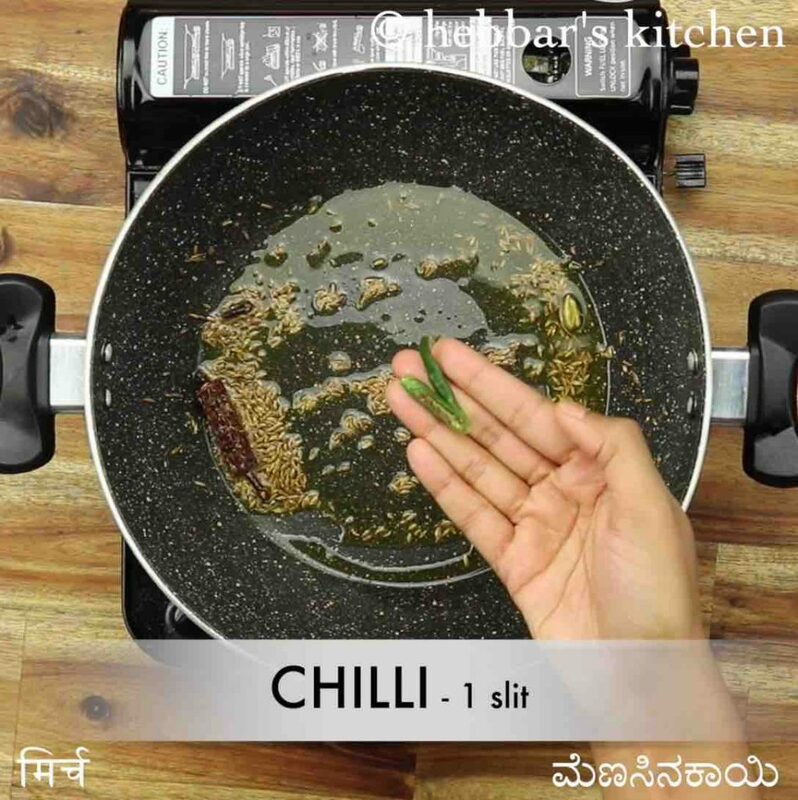 in a large kadai heat 1 tbsp ghee and saute spices. further add 1 chilli, 3 clove garlic and saute to a golden brown. add in 1 onion followed by 1 tsp ginger paste and saute to a golden brown. 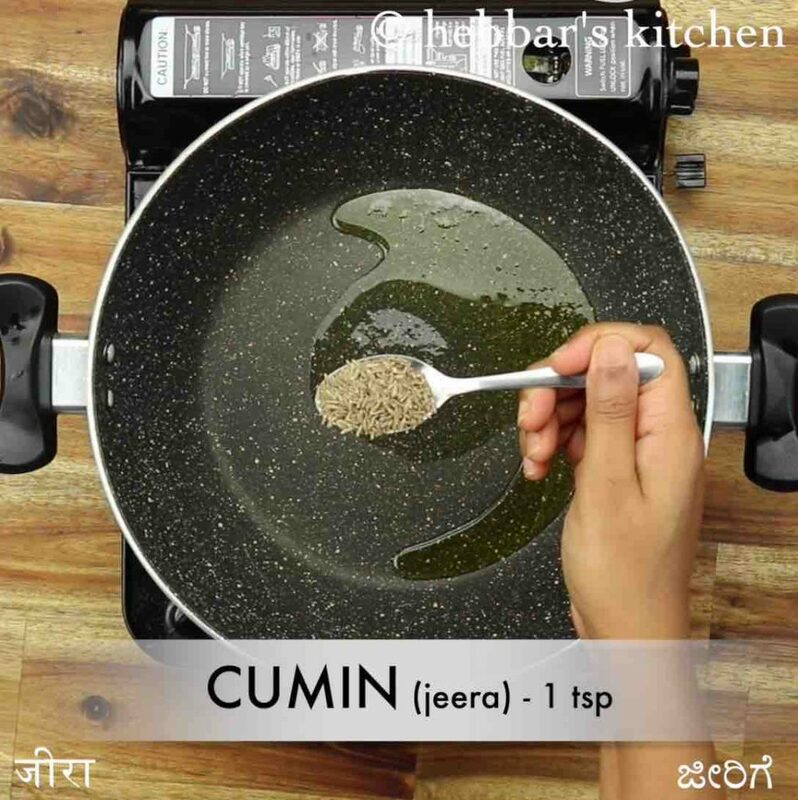 keeping the flame on low add ¼ tsp turmeric, ¾ tsp chilli powder, 1 tsp coriander powder, ¼ tsp cumin powder and ½ tsp garam masala. saute until the spices turn aromatic. furthermore, add 1 cup tomato pulp and stir well. 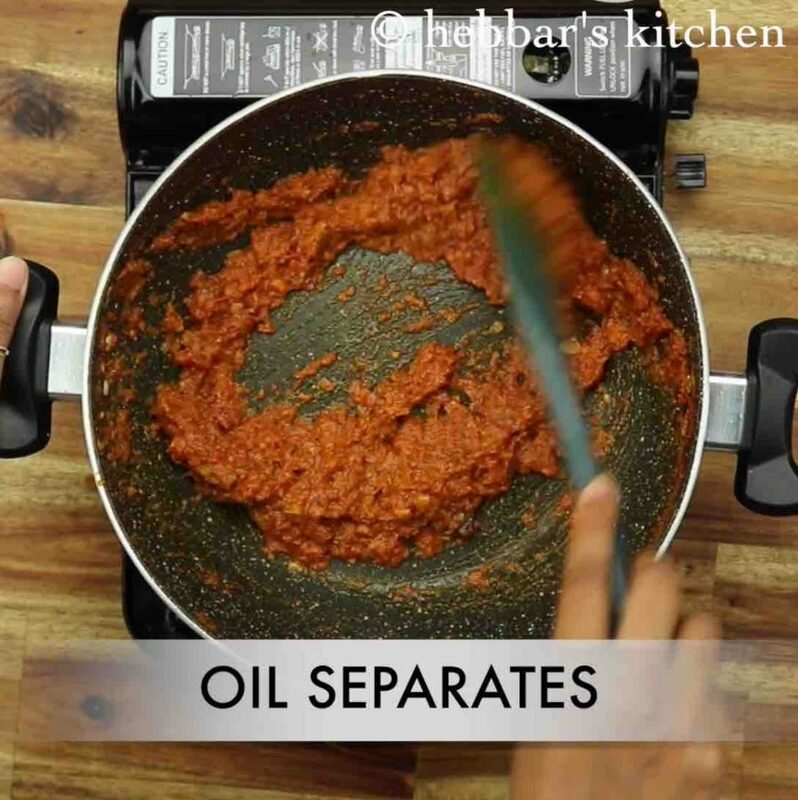 cook until the oil is separated from the masala paste. 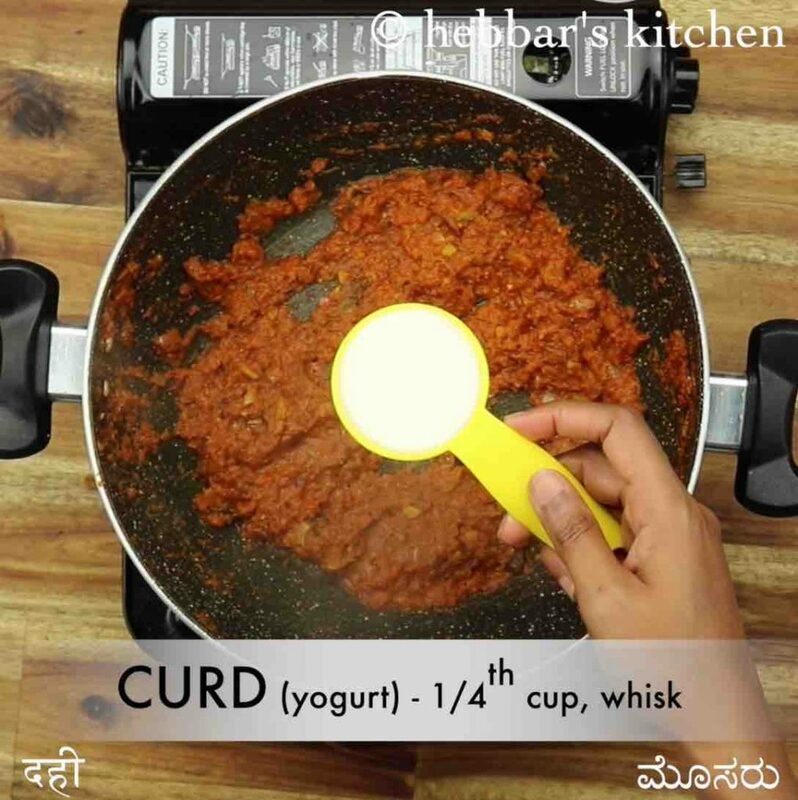 keeping the flame on low add ¼ cup curd and stir well until the oil is separated. 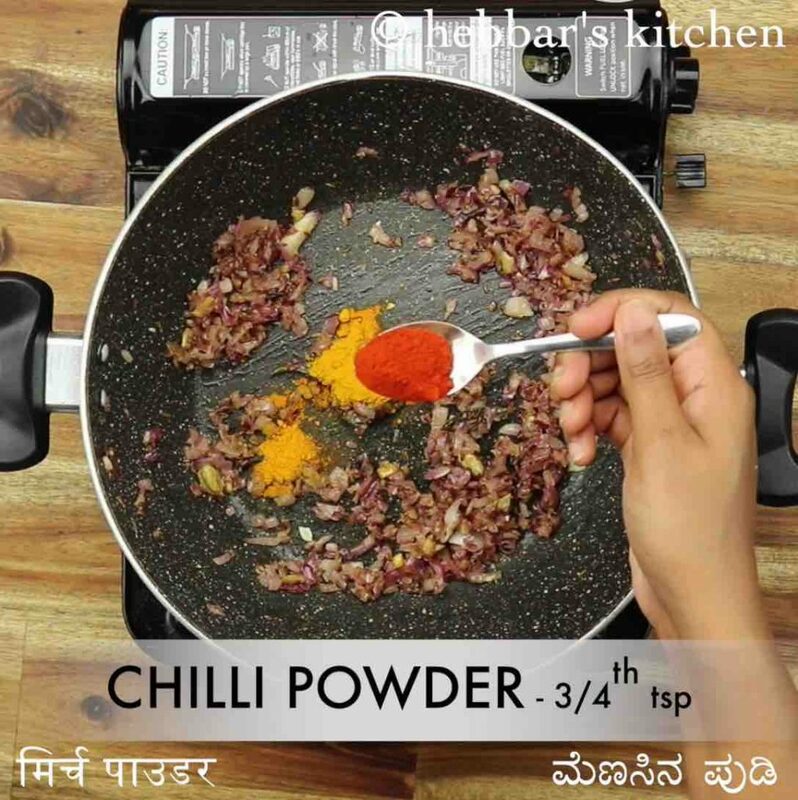 add in blended soya chunks, ½ tsp salt and saute for 5 minutes. 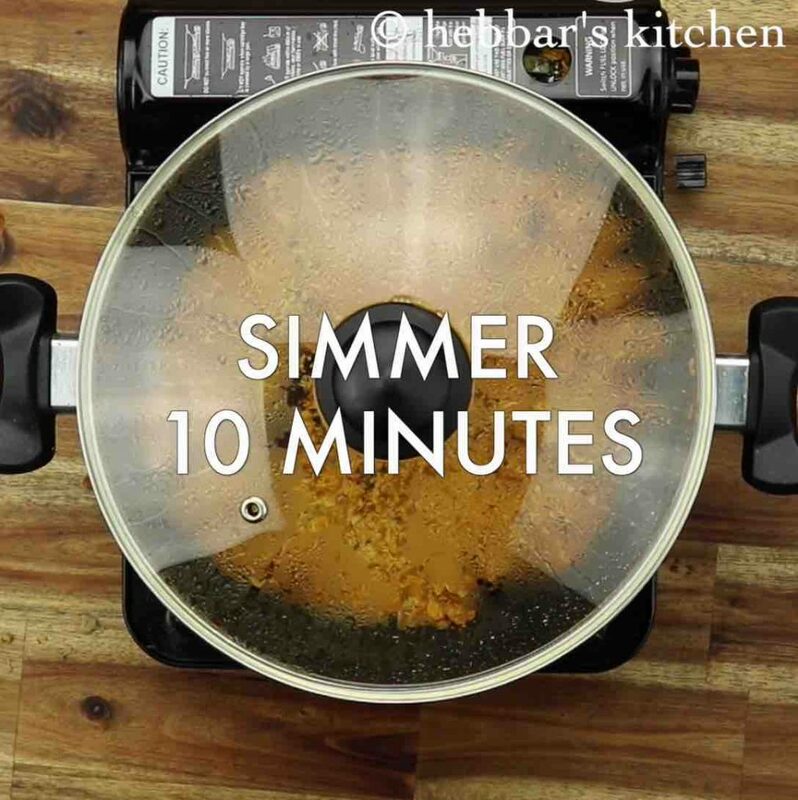 now add ¼ cup water, cover and simmer for 10 minutes or until the soya is cooked well. finally, enjoy soya kheema with roti, garnished with 2 tbsp coriander leaves. firstly, in a large vessel boil 4 cup water with 1 tsp salt. 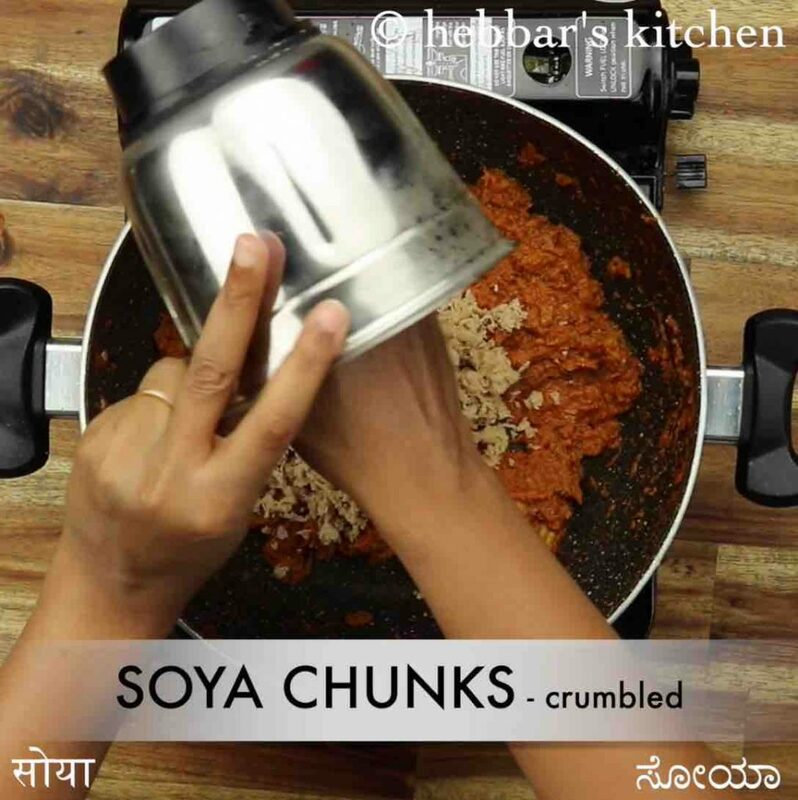 add 1 cup soya chunks. you can alternatively use soya granules. 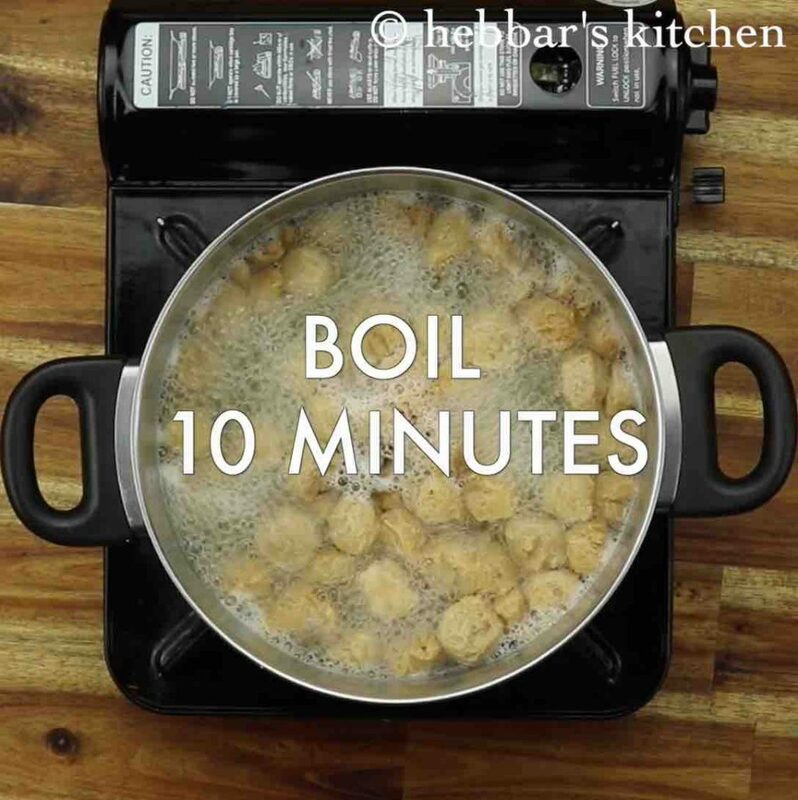 boil for 10 minutes, or until the soya is cooked completely. 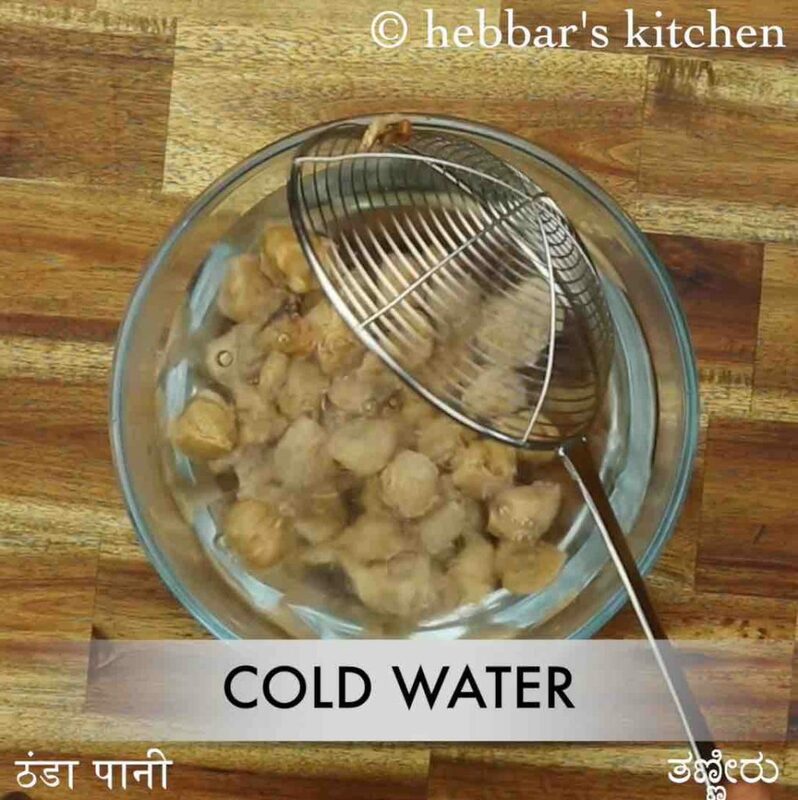 further, drain off the water from soya and add to cold water. rest for 10 minutes, and later squeeze off the water from the soya. 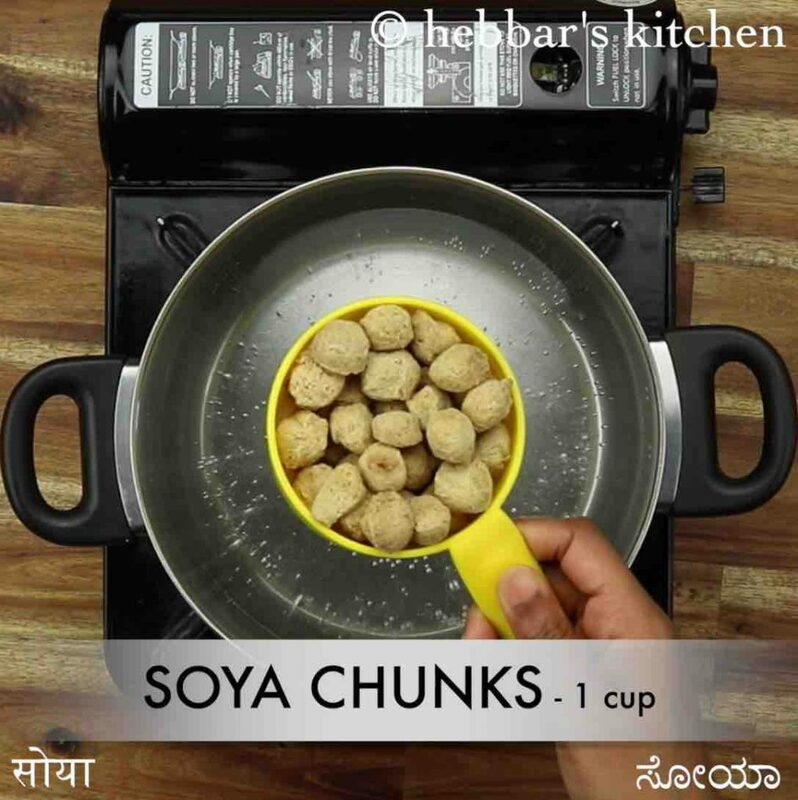 transfer the cooked soya chunks to a blender and pulse to coarse texture. keep aside. now in a large kadai heat 1 tbsp ghee and saute 1 tsp cumin, 1 inch cinnamon, 5 cloves and 2 pods cardamom. furthermore, add 1 cup tomato pulp and stir well. 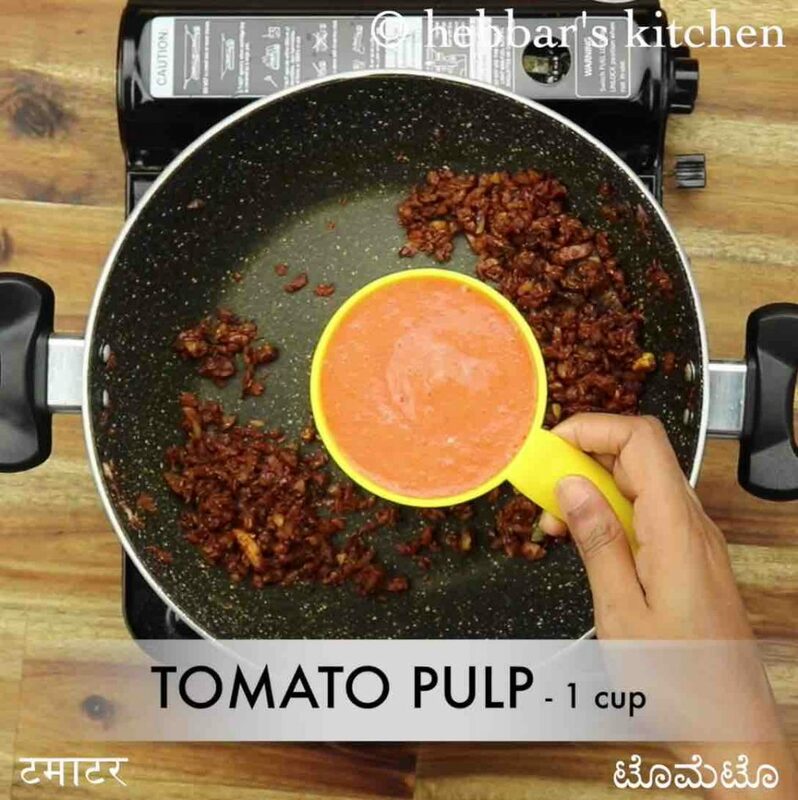 to prepare tomato pulp blend 3 ripened tomatoes to smooth paste without adding any water. firstly, cook the soya well else you may end up with stomach problems. 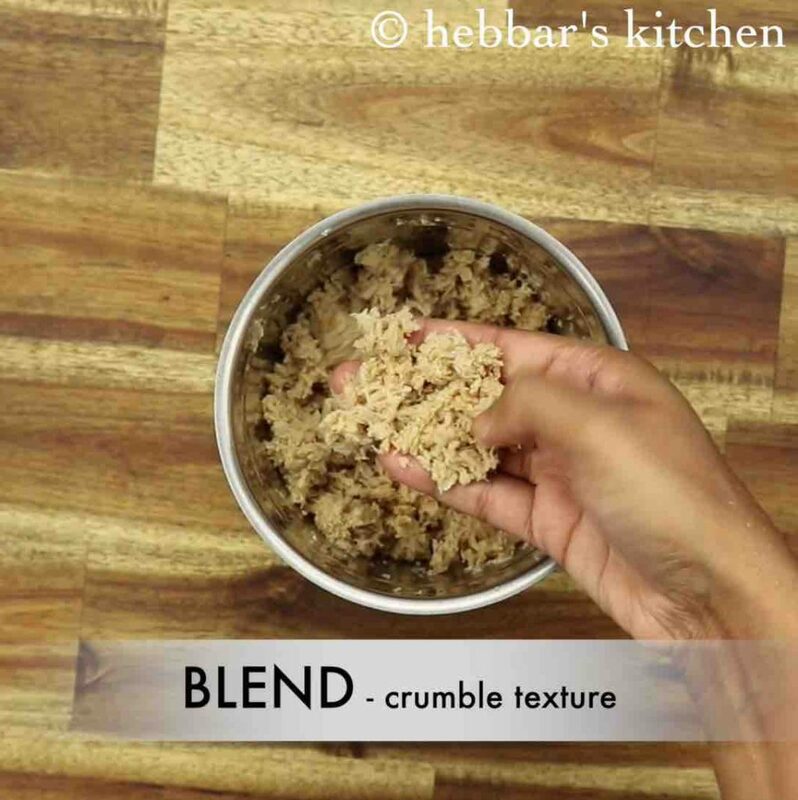 also, you can use soya granules instead of soya chunks to avoid blending to coarse texture. additionally, if you are looking to have a gravy consistency, then add water accordingly. 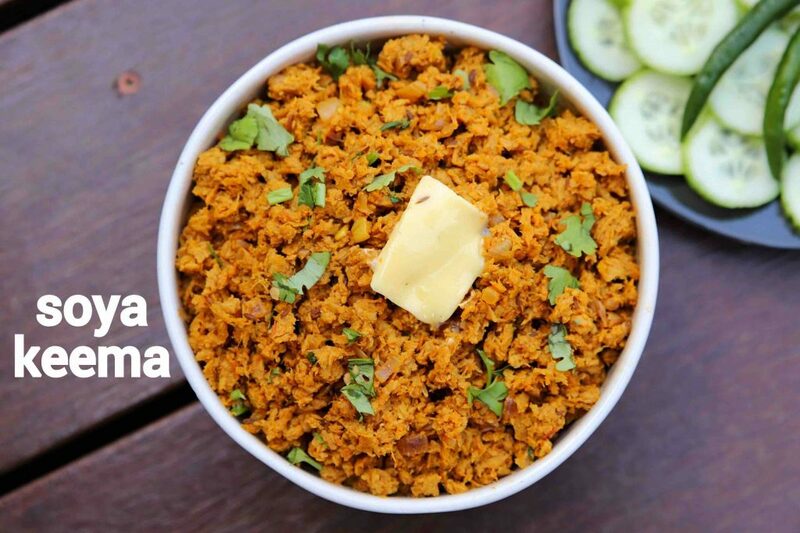 finally, soya keema recipe tastes great when prepared spicy.